*REGULAR/SIMPLE TIER 3 ENGINE = NO EMMISSIONS PROBLEMS! IDEAL FOR OPERATING IN USA AND PERFECT FOR COUNTRIES WHERE LOW SULFUR FUEL IS NOT AVAILABLE! 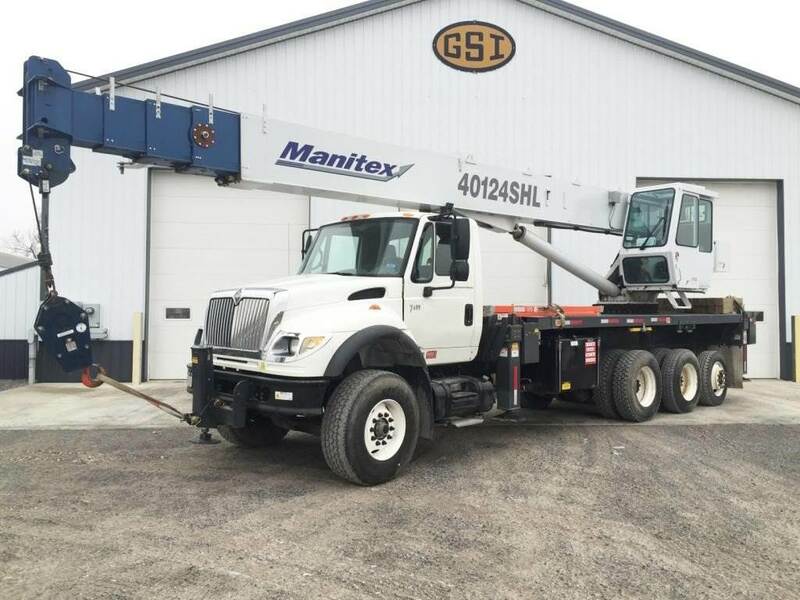 WARRANTY: REMAINDER OF MANITEX FACTORY WARRANTY FOR CRANE AND REMAINDER OF POWERTRAIN WARRANTY FOR TRUCK. ENGINE: CUMMINS 350 HP TIER 3! A/C AND HEAT, TILT WHEEL, CRUISE CONTROL. CURRENTLY CERTIFIED AND WORKING IN NEW YORK. SUBSTANTIAL SAVINGS IN COMPARISON TO A NEW BOOM TRUCK AND SIMPLE/PRE-EMMISSIONS ENGINE!